Maple Leaf is recalling their Chicken Breast Strips because they may contain a toxin produced by Staphylococcus bacteria. The Canadian Food Inspection Agency says the affected products, which were sold in Ontario and Quebec, include Maple Leaf brand Chicken Breast Strips in 840 gram packages with a best-before date of April 20, 2018. 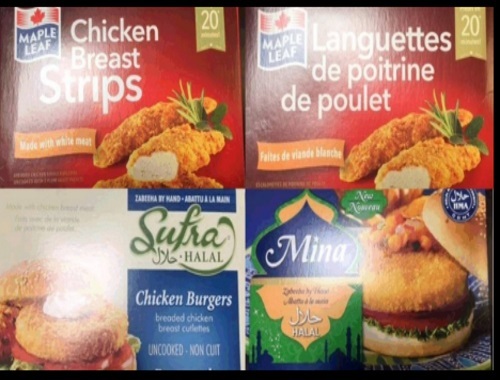 Chicken burgers under the Sufra Halal and Mina Halal brand names in 828 gram packages are also being recalled. Common symptoms of Staphylococcus poisoning include nausea, vomiting, abdominal cramping and fever. consumers with these recalled products should thrown them out or return them to the store where purchased. There have been no reported illnesses associated with the consumption of these products.